TP6/6A Legacy Touch Trigger Probe - CMM Inc. 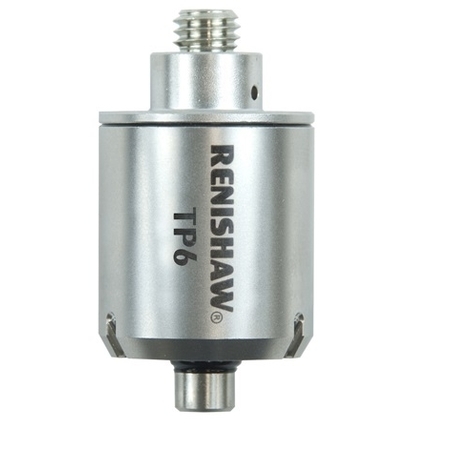 The TP6 and TP6A are robust probes with M8 and autojoint mounting options. Both models are kinematic touch-trigger probes that have a manually adjustable trigger force, with different stylus configurations. The TP6 and TP6A can carry long styli (M3 range), are 25 mm (1 inch) in diameter, and can provide substantial overtravel for excellent robustness.